Why is TransDev ‘The Power in Motion’? The simple answer is ‘Our People’. TransDev is both a manufacturer and distributor of mechanical components to a global base of customers. We are experts on motion solutions and with over 50 years of expertise are leaders in our field. TransDev is located in Poole, Dorset on the south coast of England, but we also have Sales Engineers based all around the UK. Poole is a great place to live, work and spend quality time with your family; close to the Jurassic Coast World Heritage Site, next door to the vibrant town of Bournemouth, with Poole’s miles of sandy beaches, the New Forest and countless other attractions nearby. Poole is historically a centre for engineering excellence and the wider East Dorset area is home to many large industrial and technology companies e.g. Siemens, Curtiss Wright and Cobham. This is in addition to a broad base of service businesses, including large financial service providers such as Nationwide, Morgan Stanley and LV. With a growing population of around half a million, two well regarded Universities and a well-developed digital economy, the conurbation offers much for the young as well as older residents. TransDev is on the west side of the conurbation. To find us click here. TransDev is a family business and recruits for various positions across areas such as engineering, internal and field sales, administration, purchasing and warehouse. It’s only through our people that we can continue to outpace our competitors, break new ground and set new standards for motion products. That’s why we work hard to make sure we offer careers with a combination of a caring work environment, comprehensive training, rewards and opportunities to progress. As an Equal Opportunities Employer we welcome applications from all sections of the community. With comprehensive training available, whatever your level of experience we may have just the role for you. All of our current vacancies are shown below. If none are shown we still welcome speculative inquiries; sorry no agencies. Are you considering a career in engineering, an apprenticeship or wish to learn more about the industry? 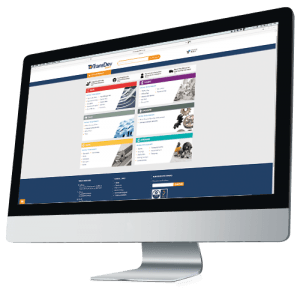 Visit a website aimed at young people and all about UK manufacturing.